In this competition series, a group of strangers are thrown together to live in a house together. Each week, one of the contestants will be eliminated from the competition until only one winner remains. Cameras placed around the house record all the drama and backstabbing for our viewing pleasure. Who will win the final three-part Head of Household competition? And which Houseguest will go on to be crowned the winner of Big Brother 20 and take home the half-million dollars? Jeff Schroeder makes a surprise visit to the Big Brother house, and the battle for the final Head of Household begins. Following a live vote, a Houseguest is evicted and interviewed by host Julie Chen. Remaining Houseguests compete for next Head of Household. Chart-topping pop sensation Bebe Rexha visits the Big Brother House for a surprise performance. Plus, the power is up for grabs, who will become the new Head of Household, and which two Houseguests will be nominated for eviction? Houseguests compete to win the Power of Veto. During the Veto meeting, the winner of the competition can keep nominations the same, or save someone from eviction for the week. Hosted by Julie Chen. Who will be evicted from the Big Brother House, Fessy or Haleigh? Plus, which Juror will battle their way back into the game?! Find out who will win the all-important HoH competition! Who will rise to power? And, who will the new HoH nominate for eviction!? What will happen at the Veto Meeting?! Plus, which Houseguest will be evicted? The Houseguests have been berated and blindsided for months, but Zingbot is about to take it to a whole new level! Only 9 Houseguests remain in the battle for $500,000. The winner of the HoH is revealed as well as who he or she will nominate for eviction. Who will be evicted from the Big Brother house, Rockstar or Kaycee? Who will win the the Power of Veto? And will it be used to save either Angela or Rockstar from eviction? Find out who Haleigh nominates for eviction. Plus, it's the final BB H@cker competition. Who will win the secret power to hack the game and how will it affect the nominations? Pressure builds after a series of secret powers, shifting alliances, and explosive evictions! A surprising new power will be unleashed in the house. Who will be evicted from the Big Brother house? Brett, or Rachel? Who will win power of veto? And will it be used to save either Haleigh or Kaitlyn from eviction? Who will win the Power of Veto? And, will it be used to save one of the "bros" from the chopping block? Who will Scottie nominate? Plus, which Houseguest will grab the final Power App of the Summer. The game kicks into gear when the first HoH is crowned; and with nominations looming, tensions hit a boiling point. Tonight the 5th Eviction of the summer will air live. 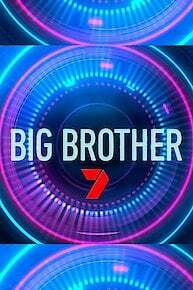 Who will be evicted from the Big Brother House ? Plus the power will once again be up for grabs. A new HoH is crowned and nominations are made. The new Head of Household moves into their HOH room. Who will win the Power of Veto and will it be used to save Alex, Josh or Ramses from eviction? One houseguest will win the first Power of Veto of the Summer ! The houseguests learn about a new twist called "Den of Temptation," a potentially game-changing offer. Her husband was booted as CEO of CBS, and she already quit one of her gigs at the network. JC Mounduix is at it again. The series will be a first for UK TV. JC Mounduix continues his reign of terror on the CBS series. Devin Shepherd says it was no big deal. There's also a sexual harassment problem on the show. Perhaps it's CBS's new 24/7 live feed of the house guests, or perhaps it's linked to the recent Paula Deen trouble, but it seems that contestants on this season of "Big Brother" are letting their mouths get them in trouble. The HOH competition continues as water is pouring on the players and the boat is rocking while everyone is fighting to win HOH now that the coaches are back in the game and everyone is playing as individuals. Admit it, ABC: "The Glass House" does sound an awful lot like "Big Brother." That might be why CBS was up in arms enough about the June premiere to file for a temporary restraining order blocking the ABC reality competition show's airing. CBS now claims that if ABC suffers a loss over promoting the copycat, that's not their problem. Who Won 'Big Brother' 13? Last night was the season 13 finale of "Big Brother," with three contestants fighting it out for the $500,000 prize. After 75 days locked away from the real world and having their lives examined by millions, Rachel Reilly, Adam Poch and Porsche Briggs remained. Who took home the big prize on "Big Brother"? Big Brother is currently available to watch and stream on CBS. You can also buy, rent Big Brother on demand at CBS, Amazon, Vudu, FandangoNow, Google Play, DIRECTV NOW, iTunes online.